Westport Innovations has been recognized as one of the Top 50 Socially Responsible Corporations in Canada in an annual report by Jantzi-Sustainalytics in partnership with Maclean’s magazine. We are pleased to be in such good company with other leading organizations selected on the basis of their performance across a broad range of environmental, social, and governance indicators tracked by Jantzi Research. Westport is being recognized as a result of its natural gas engine technology for heavy-duty vehicles that reduce nitrogen oxides (NOx), particulate matter (PM) and greenhouse gas emissions (GHG) while preserving the power, torque, and fuel efficiency of diesel engines. In addition, the launch of the Westport Carbon Project (WCP) in March to monetize the emission reductions associated with its Cummins Westport and Westport HD natural gas engines is the first transportation project registered to the Voluntary Carbon Standard. Through this initiative, Westport and Cummins Westport natural gas-powered vehicles sold since January 2009 are eligible for carbon credits further supplementing the economic and environmental value proposition we offer to customers. 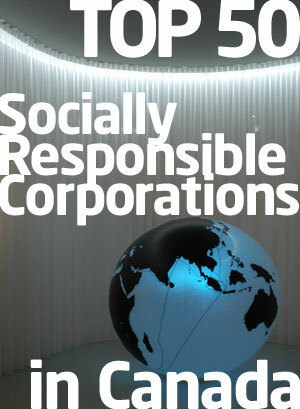 The Top 50 Socially Responsible Corporations issue of Maclean’s hits the newsstands today.